I have been so inspired by Annie Hamman's Close Up workshop (now available for self-study), that I have decided to pursue abstract-ish portraits for a year -- and rather than waiting for January 1st, I am going to start on December 11. 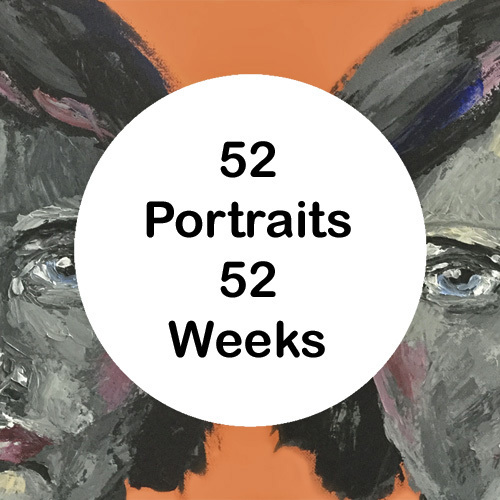 That's right 52 Portraits in 52 Weeks. It almost sounds too easy (even with all the caveats below) and I wonder if I should really challenge myself and do 104, but because of the caveats below, I'm going to be realistic, if I happen to finish two in one week, that'll be the bonus for when I'm not able to complete one later in the year. Also, these guys won't be tiny. They will all be acrylic paintings on a substrate (translation: what you paint on) 8.5" x 11.5" or bigger. I will be using a Dylusions journal just because it lays so beautifully flat, but I will be also use canvas and canvas board because I want to keep playing with palette knife paintings and I don't think the paper will stand up well to that. And also, I want to re-do one of the paintings from the Close-Up class and its on canvas board. I'll post the finished face here some time on Sunday (but noting that the second one will probably be late because it's Christmas Eve) and I will probably post some progress shots on Instagram (@leanneshawler). 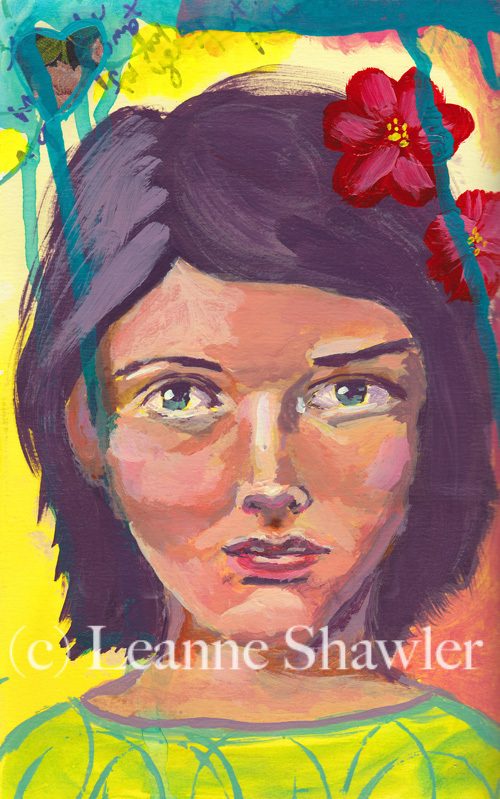 My goal is to not just develop my own style of portraits, but also to learn to take better pictures and/or scans of my paintings. Caveat #1 (or Encounter with Reality #1): I work full-time. My plan is to do a little bit almost every night (backgrounds, sketching in the face, first layers) and wait for the weekend for a couple of hours to finish the face. With a wet palette, the paint will keep all week, and even longer for two portraits. Caveat #2 (or Encounter with Reality #2): There is one particularly busy season at work, not to mention vacation time away from home, so I'm not gonna kill myself to make this deadline and will fall back on "simpler" techniques such as pencil, ink, and watercolor, which are really great for keeping facial features in proportion. There is a pretty good chance I will do a sketch before the final portrait in any case. One more thing. I can't do this alone. Want to join me in this challenge? 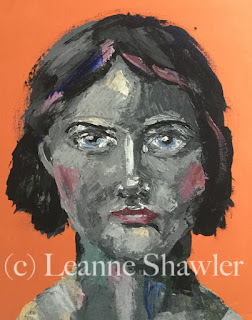 I have set up a closed and supportive Facebook group where you can share your paintings, or you can link up in the comments in the blog post for each week, your choice. For the Facebook group, follow this link and submit your request to join. Please note, I work full-time, so I mightn't be able to approve your membership straight away. I'll get to it as soon as I can. We're starting December 11, with the first result being shared on Sunday, December 17th, and every Sunday thereafter. Because of potential copyright issues, I won't be sharing the reference photos that I use, but you can find most of them on my Pinterest board. Even if you don't have interest in or time to participate in the challenge, I hope you will help keep me accountable.